Hello , my name is Nicola and I'm an Italian guy with a passion for fashion and sports trips . 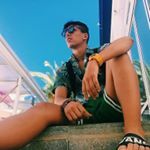 In life I like to do the video maker and I manage some intagram page with more than 50k . Demographic data for @pergliamicibarto's audience is available for free to influence.co users.